HOSTEL 64 Osaka : staff blog: Midosuji Open Festa! 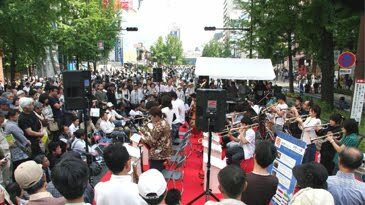 MIDOSUJI Open Festa is in May 9th! Jazz, Dance performance, Art and Fashion show will be on stage. Dance,Music,Jazz and Japanese traditional comedy etc.